Following their previous album ‘Kentucky’ which reached #5 in the UK Top 10 Album Chart in 2016, Kentucky’s favourite arena rockers return with another relentless dose of hard riffing rock on their 6th studio album ‘Family Tree’, out on April 20, 2018 on Mascot Records. ‘Kentucky’ reached their highest ever charting positions across Europe and Top 40 in the US, which cemented them even further in the hearts of music lovers across the globe. 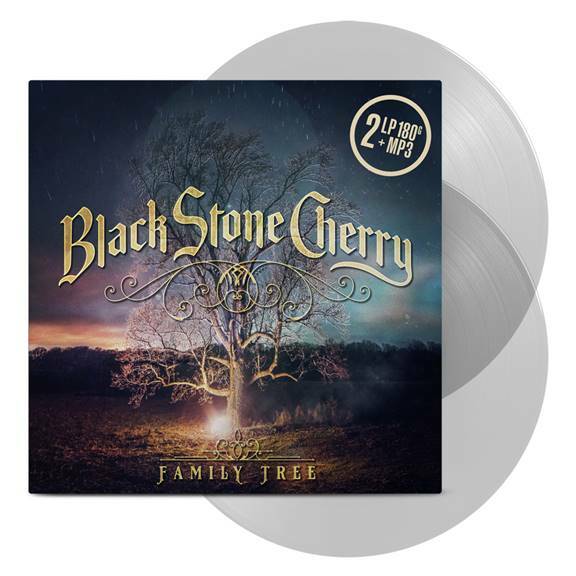 ‘Family Tree’ was again recorded and produced by the band themselves in Barrick Recording in Glasgow, Kentucky in the same way and same place as their eponymous debut album, which broke the band out of the small Southern town and onto the world stage. It’s their blend of heart on sleeve lyrics, hard rocking riffs, Southern rock grooves and huge choruses that have seen them go from club shows to 12,000 capacity venues. ‘Family Tree’ also features Southern Rock icon Warren Haynes. They have toured with Lynyrd Skynyrd, Bad Company, Chickenfoot, Alter Bridge, Def Leppard, Whitesnake, Nickelback, Rival Sons, Theory of a Deadman, Halestorm, Shinedown and Airbourne. You want hypnotic melodies? Thunderous rhythms? Blistering solos? Infectious hooks? Fist in the air anthems? You’ve got it all over ‘Family Tree’.